Not a veiled reference to the Jambo victory yesterday I promise! 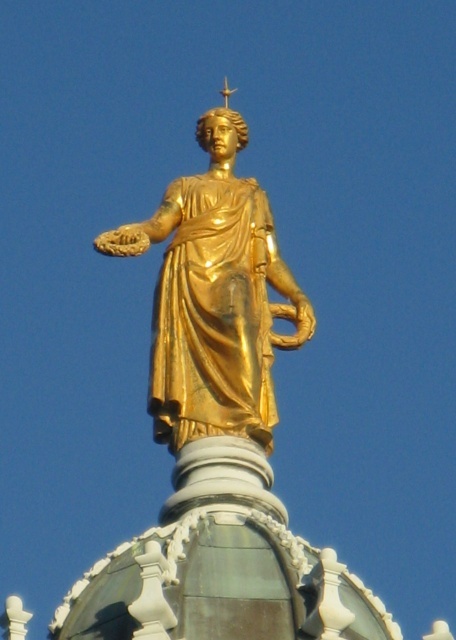 This is the statue of Victory atop the Bank of Scotland Headquarters on the Mound. I particularly like her 'anti pigeon' hat!